Make the most of your attorney by actively managing the relationship. Clients Are from Earth Attorneys Are from Law School shows you the way to your best possible outcome. Clients Are from Earth—Attorneys Are from Law School presents valuable information in terms the layperson can understand. You will learn: 1. The two keys to getting what you want in any legal situation. 2. How to remain in control of your attorney. 3. The secrets of how attorneys think to get better results in any legal situation. 4. How a law firm works and how to take advantage of this knowledge. 5. How to define "winning" for your specific situation. Clients Are from Earth, Attorneys Are from Law School gives guidance for anyone who hires an attorney—individuals, small business owners, executives. 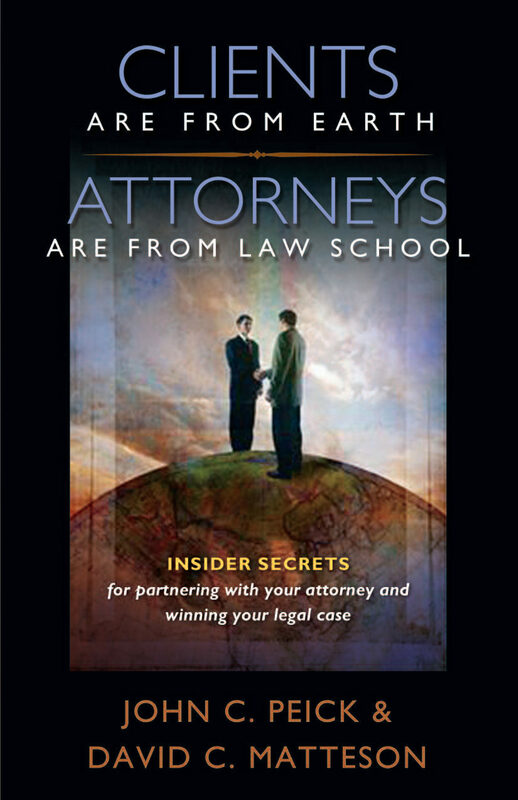 Its insiders' view will help those involved in legal and dispute situations—domestic, neighbor neighbor, vendor, business, contractual, and public issues—as well as those looking for assistance in drafting agreements and contracts or those facing civil or criminal charges.